Lord's Provision – We are stewards of God's resources. We are stewards of God's resources. There are instances that a question or doubt comes into my mind of whether to give a tithe or part of the resources given to me. Whether to use the resources that were entrusted to me by God just for myself and not to give to others. As per Marazzo 2018, tithing is the matter of the heart. The main principle of tithing and giving is the fact that what we do with our money shows where our heart is. Matthew 6:21 says “For where your treasure is, there your heart will be also.” When we are able to give 10% or more of our income instead of keeping that money for ourselves, it shows that our heart isn’t tied to our money and that we love God more than our money. Matthew 23:23, Jesus talks to the Pharisees, condemning them for tithing to the penny but neglecting the more important issues of justice, mercy, and faith. He then goes on to tell them that they should in fact tithe, but that they shouldn’t neglect the more important things (Marazzo, 2018). Pastor Evans delivers a powerful illustration of how hearing the word and believing the word are two different things. It’s one thing to simply go to church and hope that things work out, but God’s provision follows those who believe and act on the words He has spoken (Evans, 2018). God’s provision follows those who believe in giving and managing well the resources that were given. And not only believe but act on it and give. Based on the video, I have the choice of whether to drink the water just for myself or prime the pump. The choice is mine or shall I say… the choice is ours. “My son, pay attention to what I say; turn your ear to my words. Do not let them out of your sight, keep them within your heart; for they are life to those who find them and health to one’s whole body.” Proverb 4: 20-22. These words are direct and commanding. The inner voice and feelings become more apparent. 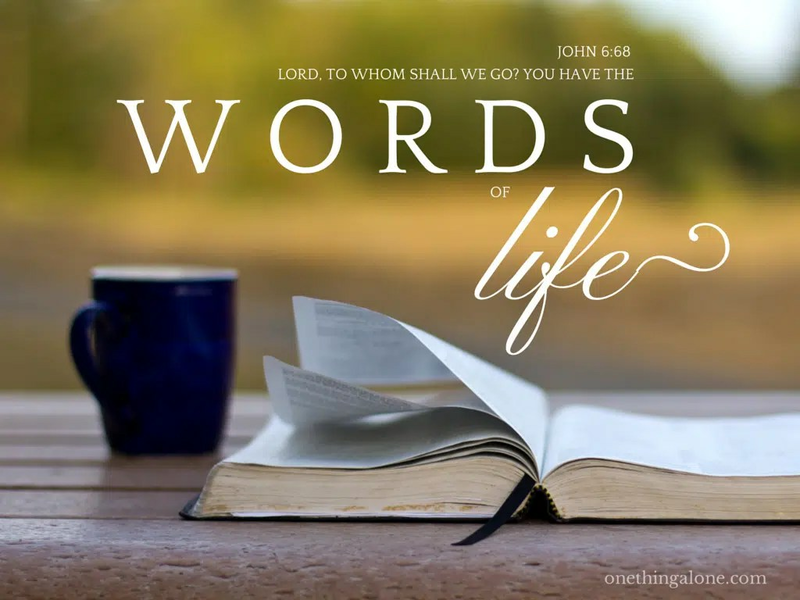 Following his command is the only option for his words are life to those who find them and health to the body and soul. Since I was a kid, I clearly remember that these two words (Poverty and Filipinos) always go together. I thought that it was just the norm. But not until I have the opportunity to visit other countries and saw the other side of economic progress. Poverty is true particularly in the rural areas of the Philippines where I grew up. Though happy as a child with lots of natural resources to play with, it is a struggle with regards to money, water, food, and shelter; the basic physiological and fundamental needs under the Maslow’s hierarchy of needs (McLeod, n.d.). Without addressing the very basic needs, a poor Filipino cannot experience Self-actualization which means poor Filipinos are not realizing personal potential, self-fulfillment, seeking personal growth and peak experiences. A desire “to become everything one is capable of becoming” (McLeod, n.d.). Without the fundamental needs, poor Filipinos cannot go to school. Education will just be secondary to them. Let us look at the latest poverty numbers with Filipinos. In 2012, extreme poverty in the Philippines was estimated at 19.2 percent of the population, or about 18.4 million people, based on the international poverty line of $1.25 per day. Most of the poor in the Philippines live in rural areas and work in the agriculture sector, mainly in farming and fishing (Dy-Liacco, n.d.). The rural area, this is the place where I grew up, play, and go to school. It was the public and lowest funded school in the country. I remember when I was still the grade school when we only have few chairs standing in the top of a dry soil inside a very old building that when it rain, water goes inside. As a child, we were happy back then when the rain comes. There were plenty of us in the class. I do not think there was a teacher to students’ ratio back then. The poor in the Philippines have families of six or more members, with greater numbers of younger and older dependents. In the majority of poor families, the head of household has only an elementary education or below. These families have few or no assets and minimal access to electricity, water sources and toilet facilities. They also have limited access to education services thus I helped in this area. Thinking back in time, now that I have the resources given by the Lord to spare to help the poor Filipino kids that I was ones, I truly and meaningfully help out as I can. Not just giving the Lord’s resources randomly but meaningfully and efficiently. A good manager of the God-given resources, the Lord’s Provision. How about you? What are you doing with the resources that the Lord entrusted to you? Giving sometimes easy to practice with others but hard to some. Generosity speaks louder to the ears and magnifies larger to the eyes a man. Genuine generosity isn’t sporadically done. The act mostly originates from the heart and pervades every facet of life, touching their time, treasure, and talents. To foster the quality of generosity in our lives, we need to be grateful for whatever you have, think of other, don’t allow the desire for possessions to control, consider money as a resource, and to develop the habit of giving. When my family visited my poor relatives in the Philippines, my kids told them about their days in their school in the US, including their awful school uniform, slow computer tablets, and terrible free lunch. To their surprise, their relatives didn’t share the same feelings of repulsion – only awe and envy. According to the figures from Department of Education and the National Statistical Coordination Board in the Philippines, 1 in 6 Filipino kids will not attend school. Further, only 7 out of 10 kids will complete elementary school. Of those 7 kids, only 4 will complete high school, and of those 4, 1 will proceed onto university. The main reason for this? Poverty. Yours truly took much of my education in the poor southern part of the Philippines. I agree that money plays a huge part in education. Most kids with poor parents are so desperate to go to a school that they’re willing to travel far and go through dangerous conditions to get there, like swim under a bridge, or climb onto an open-top school bus that’s already so packed. But some kids just can’t afford to make those trips. And getting to school is only the first hurdle. You pay for your books, paper, pens – the schools don’t provide that for you – nothing’s free. Filipino children going to school but need to traverse a river. So, poverty is the problem. Although we can’t directly solve a problem as big as poverty, we can certainly help promote the need for education as an effective tool to help poor Filipinos to be out of poverty, one kid at a time. The Lord’s Provision was formed to help other people in need particularly the poor children in the Philippines who cannot go to school due to several reasons that boil down to financial sustenance. The group also focused on helping the spread of the word of the Lord through Catechism. The seed of giving and gratitude to help others was planted years ago into the founder’s life as he grows in a family who are financially disadvantaged. The longing to help others dated back in childhood watching the friends and neighbors struggle to make ends meet. The unpleasant scenario of deprivation plays into his mind that prompted to plant the seed of giving. All giving is sowing, but not all sowing is giving. The distinction between the two is critical, and always discerned by the eye of the Lord. God is looking for, and blesses, givers. What the Lord looks at is the motive in the action. God pays close attention to the motive of the heart when someone gives. The person’s purpose in giving must not be with reluctance, with sorrow, or under compulsion. In other words, it must be a “willing” gift. Willing gifts are self-motivated and usually self-initiated. God is looking for givers that He can bless. For the most man, the focus has been on sowing seed for personal need. The way to have your need met is to be the channel to meet someone else’s need. The very nature of the love of God is that it sees and meets the need of another(“When Giving Becomes A Seed”, n.d.). The founder of Lord’s Provision viewed the tithes as giving back to God the resources that He provided. He actually allows a man to keep the 90% and only asked the 10% back. Instead of giving it to the Church, the founder gave the tithes to the Lord’s Provision since 100% of the donations will be given to help educate the poor children or youth and to support on the spread of God’s word through Catechism. Tithing is a biblical principle. Tithing is the practice, established by God in the Old Testament, of returning 10% of your blessings to God. Originally the tithe was given to the temple or the Church in the form of produce or livestock since this really was the only income that the people had. As our society shifted from a barter-based system of trade to a monetary exchange system, the tithe began to be paid in currency. Whether one gave monetary income or profit from the fields was not as important as it was for the believer to understand that the tithe was what was owed to God. The tithe was not given based on the needs of the priests, of the Church or of the poor. It was given simply in recognition and gratitude for the blessings that God had bestowed on the individual. Thus, every believer had a need to tithe to God (“About Tithing”, n.d.). Poor students walking to school in the Philippines. Lord’s Provision, from monetary donations, help poor kids to be able to go to school daily and Catechists who to spread the word of the Lord to children in the Philippines.